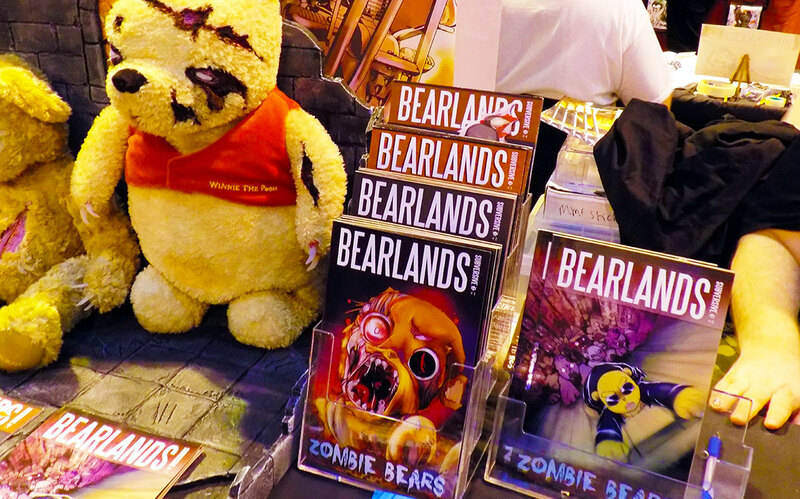 It’s November, so that means it was time once again to delve into the wonderful world of MCM’s Birmingham Comic Con! 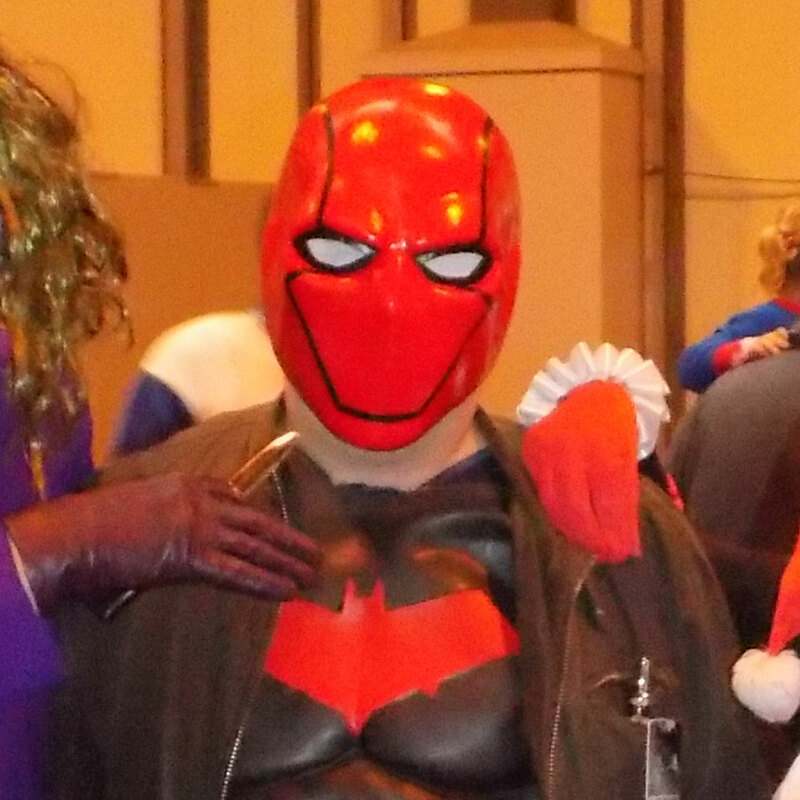 This year, I decided to join in the cosplay fun, and donned my Red Hood costume to wander around the Con. 😀 The event was massively popular this year, with Saturday in particular, packed with fans of comic books and movies. There were a huge array of guest this year. Some from film, some newer tv shows, some from old. The boys from the Dwarf where there once again, minus Craig, obviously. There was a large contingent to help celebrate the Goldfinger 50th Anniversary, and a large group from classic British sitcom ‘Allo ‘Allo. Special mention to Kim Hartman and Richard Gibson, both of whom were there in their full ‘Allo ‘Allo outfits! On the Saturday, Tom Felton (Draco Malfoy in Harry Potter) did an excellent talk, although it was hard to even get close to the theatre tent when he was on! Also Cary Elwes from Psych, X-Files, and of course, The Princess Bride. However, the biggest draw for me, was the fantastic RJ Mitte, aka Walt Junior from Breaking Bad, and Colin Ford from Channel 5’s excellent Under The Dome (and also young Sam Winchester in Supernatural). Both the videos can be seen below. As usual, there were lots of people in costume, and once again Harley Quinn proved to be one of the most popular for the girls, and Joker was hugely popular with the guys. DC was extremely well represented over all with this wonderful group of DC based cosplayers, who posed for a large group photo.